I was recently doing some research on the airfields of the Southern Pacific. 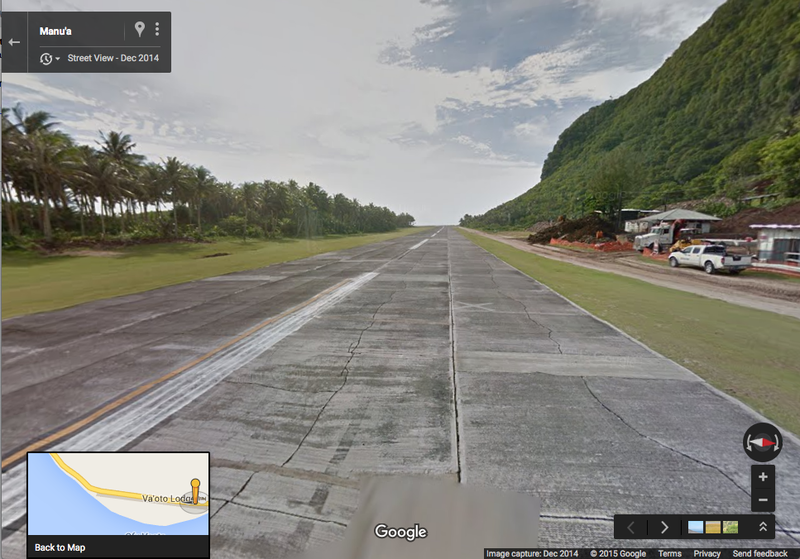 Much to my surprise I discovered that on the island of Ofu, it seems that for some reason the vehicle taking the Google Street View photos chose to drive down the active runway of the island’s little airport instead of on the road! The only other instances I am aware of an active runway on StreetView are the airfields at Gibraltar and Shetland which have roadways that cross the runway.